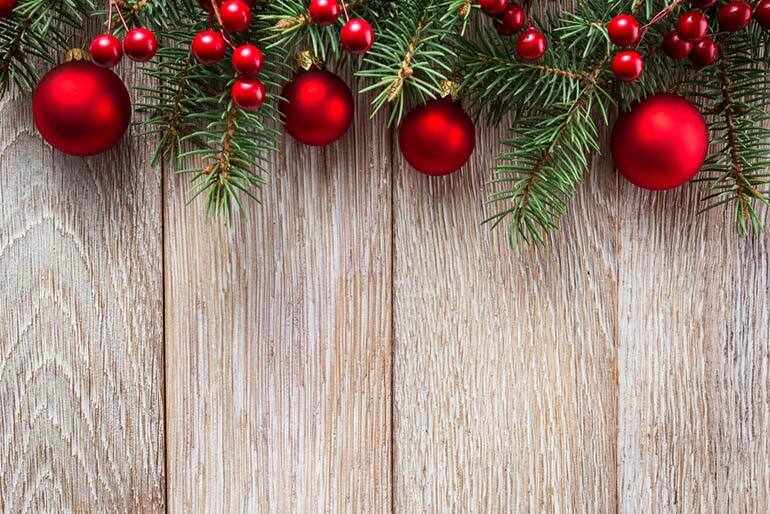 December is one of the most festive months of the year. We decided to take a look at what images are trending during this time. Let’s also break it down and see what makes these images so appealing and popular. Hopefully they will serve as your inspiration and be useful in your projects. 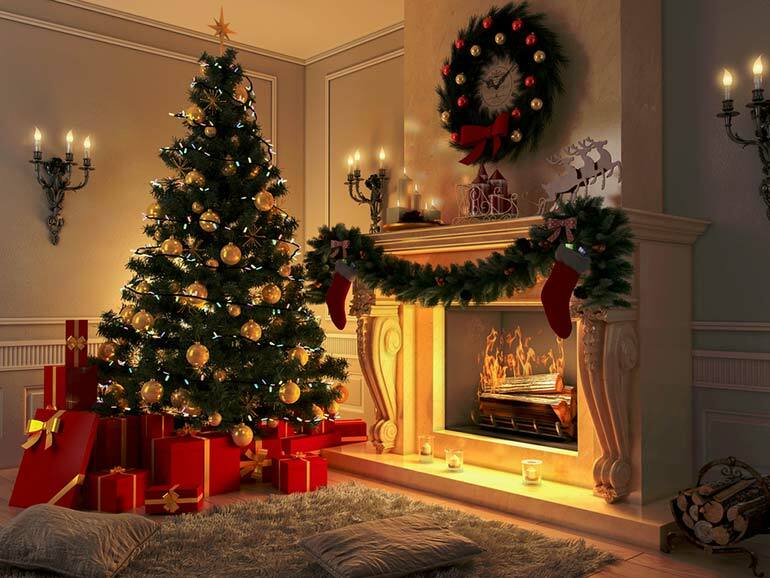 Christmas time is the perfect occasion to decorate your house for the perfect holiday atmosphere. This image holds in itself everything we associate with Christmas and gives off a soft, glowing light reminiscent of quiet days in the comforts of home. The feeling of comfort is hard to translate in an image but this one seems to have all the necessary components. 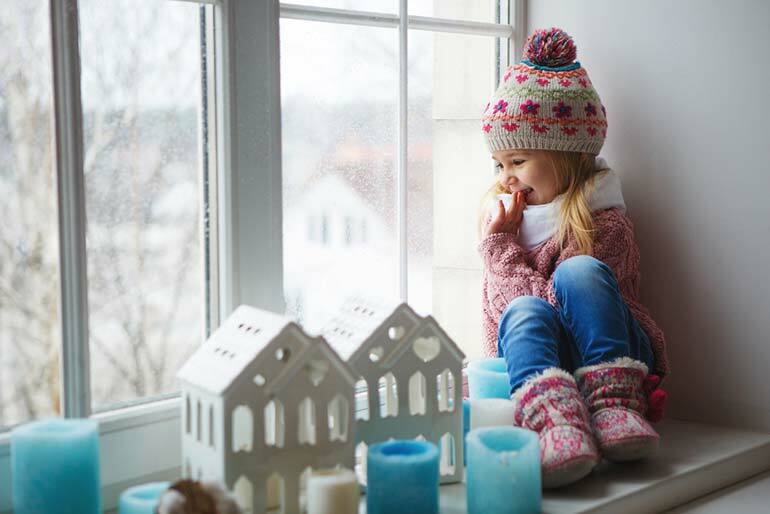 Winter clothes, decorations and a blissful smile all contribute to this atmospheric photograph. No holiday collection will be complete without one scenery shot. 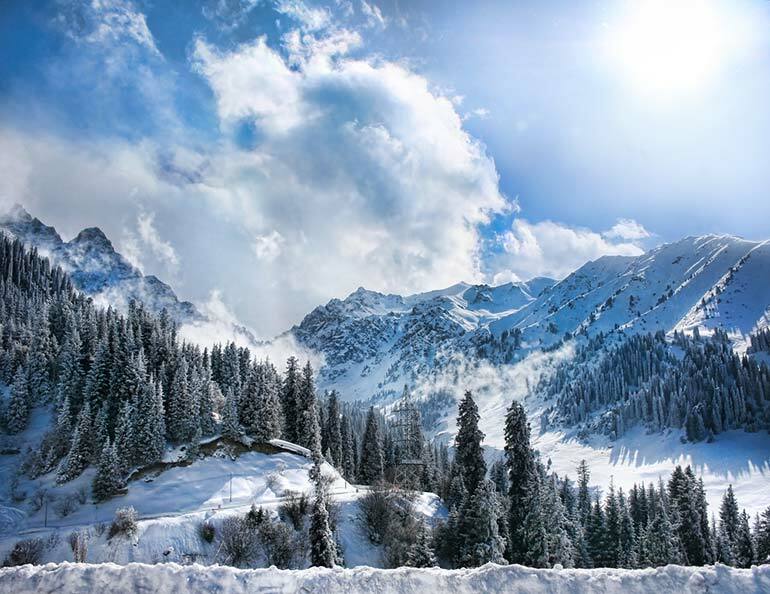 The towering mountains and lone trees covered in snow is all one needs to make a statement. It’s a soothing photograph with a clever composition and minimum distractions. 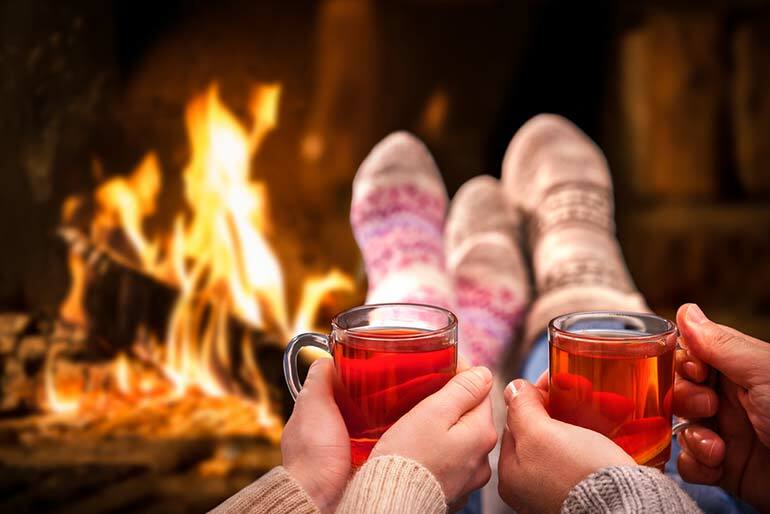 Christmas socks, a fireplace and some warm tea – this photograph is more about the content than composition. Doesn’t it make for the perfect end of the day? 5. Who doesn’t love dogs? If there’s one thing that will melt anyone’s heart, it’s a picture of our furry friends. 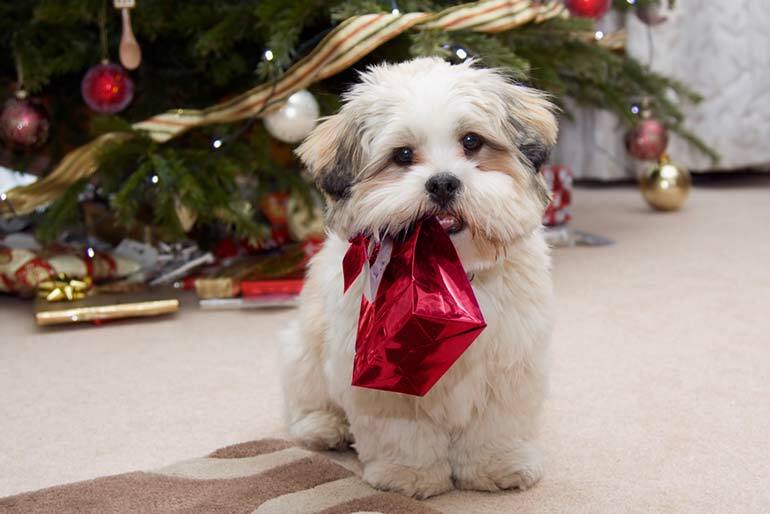 Us dog people have a soft spot for dogs and who can resist one that is holding a Christmas gift! 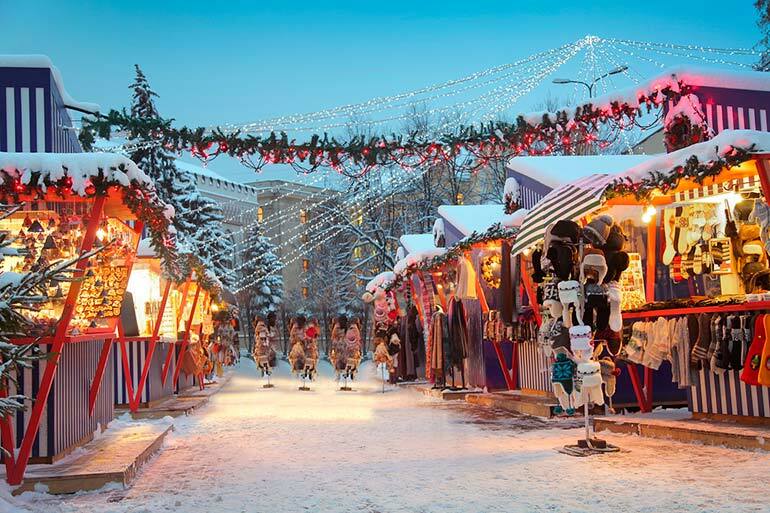 The next best thing to the comforts of our home on Christmas is a themed location such as Christmas fairs. This photograph captures the wonders of similar places in a compelling composition. Sometimes you just need the perfect minimalist image that gives you room for creativity. This one, with a glimpse of symbolic objects and a neutral background, is perfect for exactly that. Even the simplest doodle can turn into a popularized image with the help of a great editing eye. Sometimes the most effective photographs are just about colors and symbols and this one is a beautiful combination of the two. A little bit of humor and cute creations will do the trick. 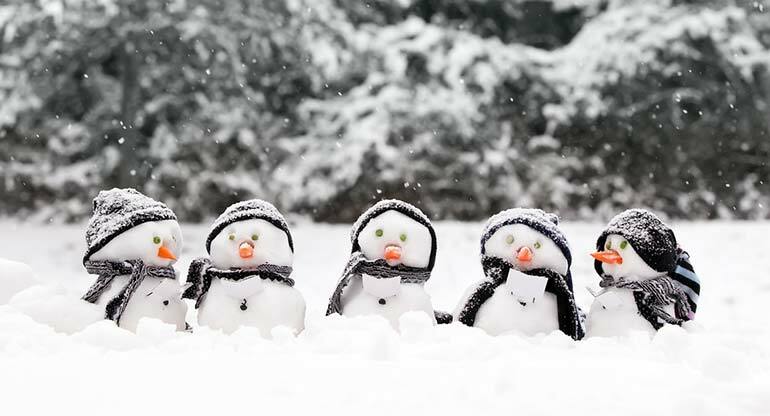 Here’s Frosty with his buddies on a cold winter day, enjoying each other’s company and looking into your soul. 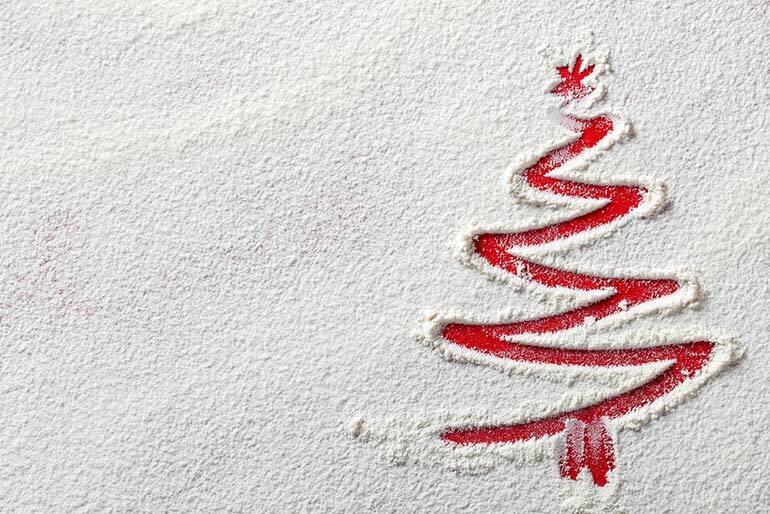 As mentioned in one of our articles, the holiday season stretches beyond Christmas. It’s time to look forward to other eventful dates like New Year’s. 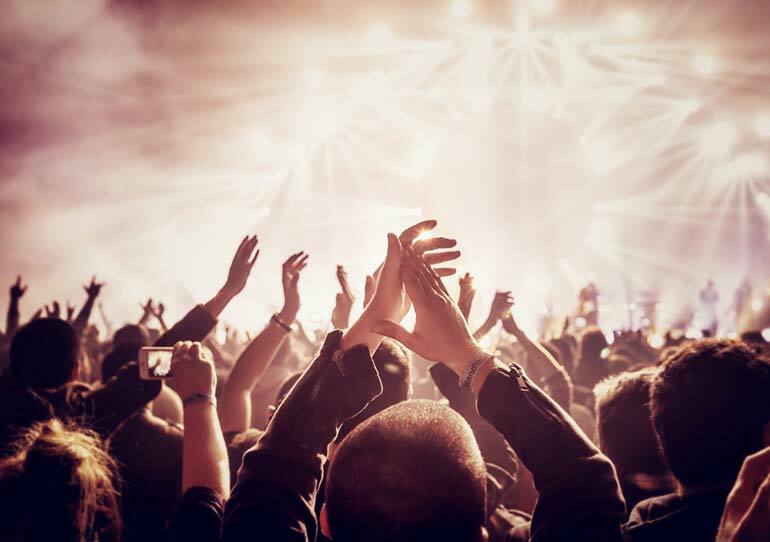 This image captures the spirit of a party and is the perfect call to celebration. If you haven’t seen our Christmas collection, you can follow this link and also see our editorial collection for the holidays. If these images give you fresh ideas for your campaigns, our article on photography trends for the holiday season will enrich your selection. I sense you’re a little ambitious, so do visit our article on the visual trends for 2017.